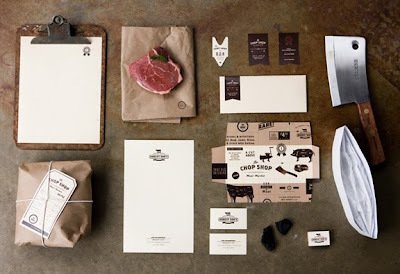 We read about this great graphic design by the Firm PTMK - through one of our favorite daily reads, Kitsune Noir (Bobby, if you're out there, we love you) - and we absolutely adore PTMK's designs for Honest Don's & The Chop Shop. 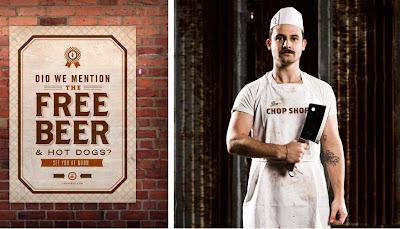 Seriously, between the name Chop Shop, the amazing graphics, and that unbelievably fantastic mustache the butcher is rockin, you can't keep us away. Next time we're in Kansas City, we'll be sure to stop by at noon for beer and dogs. Righteous.